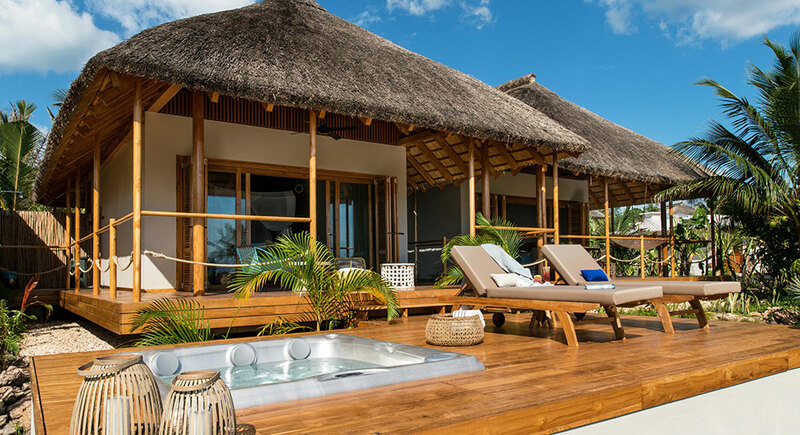 Zuri Zanzibar comprises 55 bungalows, suites, and villas overlooking the bright, warm waters of the Indian Ocean or the well-manicured gardens. 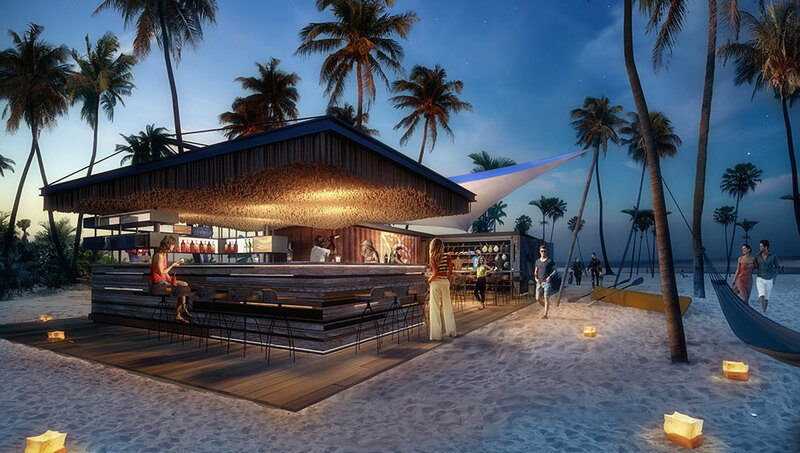 The hotel was designed to maintain the unique island atmosphere in an ecologically friendly way, where design emphasizes the natural and local materials wherever possible. The encompassing gardens and white-sand beach provide the perfect places to do as much or as little as you wish. 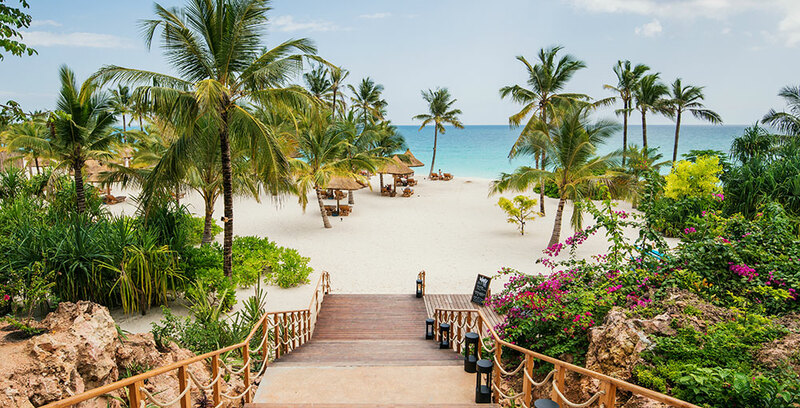 Situated on Zanzibar’s west coast, on the north of the main island of Unguja, Zuri’s location almost guarantees sublime Indian Ocean sunsets turning the sky red, orange, and gold. 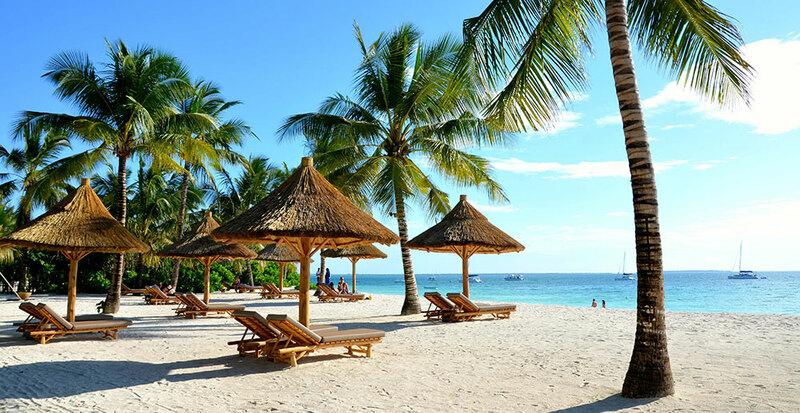 It’s proximity to the equator ensures tropical sunshine and warm seas, while the resort’s proximity to Stone Town and its UNESCO-enshrined wonders means Zanzibar’s enthralling culture is never far away. The cozy individual bungalows combine the use of natural materials with contemporary flourishes to create a home away from home. 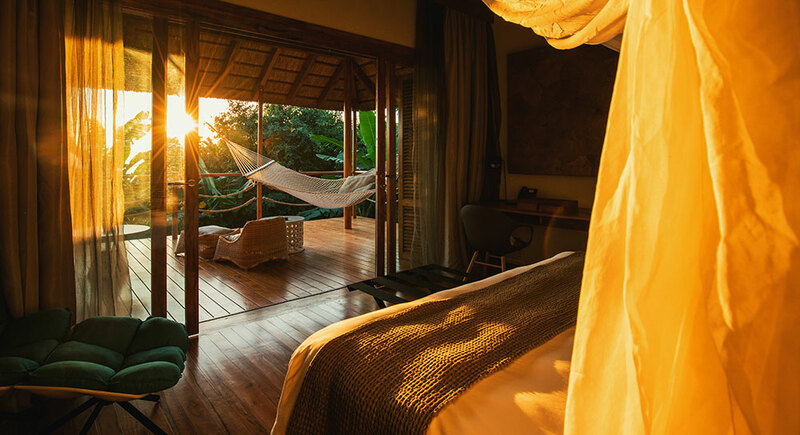 Some also offer the possibility of interconnecting with neighboring bungalows, making them ideal for families, and the additional option of a private jacuzzi. 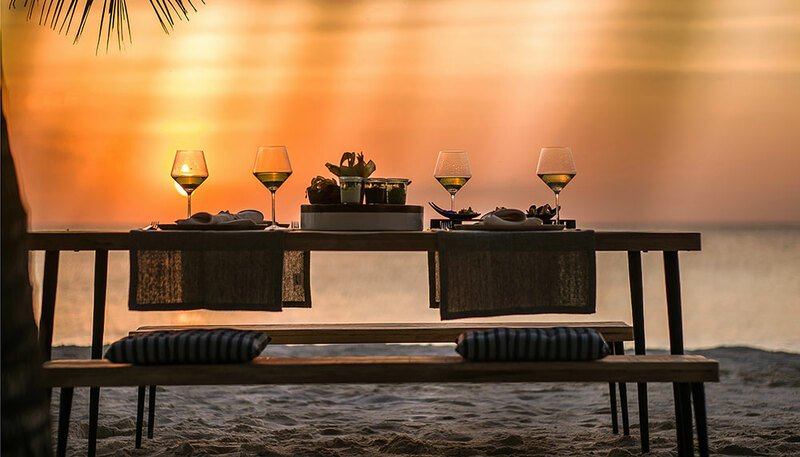 Suites extend the living space further, with a separate bedroom and lounge, while the resorts two-bedroom oceanfront villas are positioned on a private stretch of beach complete with its own bar-restaurant for the ultimate in secluded getaways. Each bungalow equipped with an exterior and interior shower, full-sized bathtub and double vanity, and boasts a wrap-around covered veranda that extends the lounge space outdoors. Zuri was built around the pure white sands of a palm-fringed beach free of any significant tides and safe for swimming throughout the day. Its here that guests are able to take part in yoga lessons, while the Maua Wellness massage rooms provide spa treatments and the three restaurants plenty of choice when it comes to meals. The resort’s gardens are equally important, and occupy a full quarter of the resort’s area. The 32 m-long infinity pool provides an additional place to take a dip, while the resort’s own dive centre has everything guests need to delve beneath the waves, including PADI certified dive courses. A melting pot of different cultures over centuries, the Zanzibari archipelago has a culture unlike anywhere else. Perhaps most clearly visible in the narrow streets of the islands’ capital, Stone Town, visitors will discover traditionally decorated and designed doorways from the Middle East, a cathedral straight out of England, spices from India, and Islamic traditions stemming from its nearest East African neighbours. 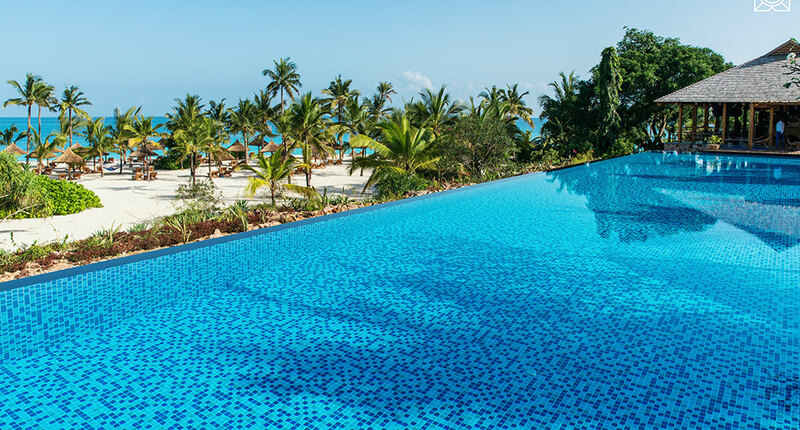 Relax alongside the infinity pool while enjoying views across to the beach and Indian Ocean, explore the spice garden and its private pods, made up of five lush glades and also the location of Swahili cooking classes from the hotel’s chefs. Close to some of the best dive sites on the island, Zuri can organise everything you will need for snorkelling and scuba diving excursions, and also offers PADI certified diving courses. If you’d prefer to stay above the waves, equipment for various water sports including surfing is available, while there’s a book and DVD library beside reception. Want to see the Zuri Zanzibar as part of a trip? Enquire today to let us help build your holiday.